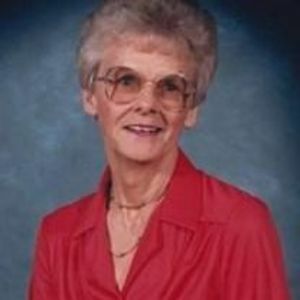 Dorothy Beamon Cary age 88 went to be with her Lord on Saturday March 28th 2015. Dorothy was preceded in death by her husband Octavious Cary Jr, son Richard Glenn Cary and son-in-law Willard (Bo) Winstead siblings Ruby Beamon Beamon, Edwin Beamon, Leora Beamon Eason, Laura Beamon Cobb, Lula Beamon Batchelor, Geneva Beamon Joyner and Shirley Beamon Haithcock. She is survived by her son Don Cary (Phyllis), daughters Kathy Winstead and Judy Winstead. Grandchildren: Angela Gonzalez (Tony), Tammie Webb (Lynn), Robin Fisher (Chris), Troy Cary (Shannon) and Shannon Bertrand (Dan). Great grandchildren: Mason, Olivia, Silas Gonzalez; Ethan and Lucas Ghiloni; Logan and Jackson Cary and Houston Webb. Sisters: Jean Beamon Outlaw, Janice Beamon Capes and Faye Beamon Eaton, Brother Arthur Beamon. Mrs. Dorothy Cary worked at Abbotts Lab in the QC department for 21 Years. She touched the lives of many people and enjoyed spending time with her children, grandchildren and great grandchildren, she enjoyed being outside and was passionate about fishing even in her later years. A Special thanks to her granddaughter Shannon Bertrand who served as her care giver. Visitation will be held Monday March 30, 2015 from 6:30 – 8:30 at Johnson Funeral Home. Graveside service will be held Tuesday March 31, 2015 at 2:00 PM at Forest Hills Cemetery Nashville NC.